Greater Seattle Surf Soccer Club, based in Bothell, WA, today announced a major rebrand. Beginning April 1, 2019, Greater Seattle Surf Soccer Club will operate as Sound Football Club (Sound FC). Sound FC will still be based in Bothell, WA and will still be chartered by Washington Youth Soccer (WYS) as the sole provider of premier soccer in the Northshore and Edmonds School Districts. Sound FC will remain a member of both Northshore Youth Soccer and South Snohomish County Youth Soccer Associations. Greater Seattle Surf will depart their current affiliate relationship with Surf Soccer Club, based in San Diego, CA on April 1, 2019. This rebrand aligns with the club’s new mission, vision, and values focused on the establishment of a cohesive, diverse community in which athletes can develop to their full physical, mental, and technical potential. 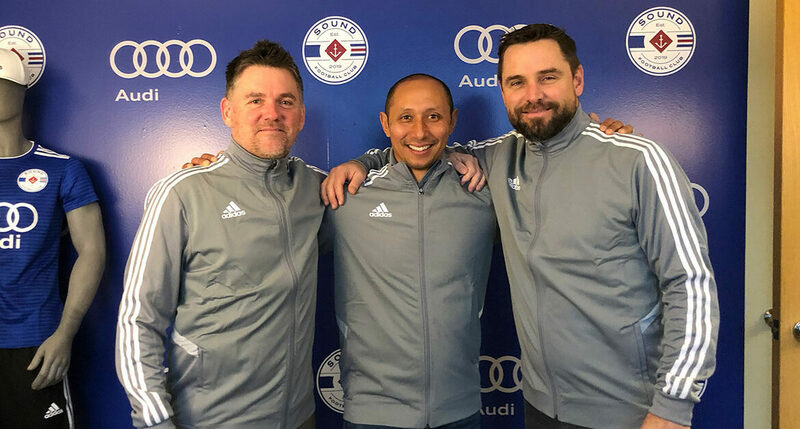 Since the hiring of Executive Director Joe Hampson in April 2018, and re-populating the entire Board of Directors, the organization restructured and set its sights on becoming the preeminent choice for soccer in the Puget Sound region. Greater Seattle Surf premier and US Youth Soccer National League teams will all finish their current seasons as Surf teams. Players will tryout for Sound FC teams for the 2019/2020 seasons, including high school-age boys trying out in February and other ages in Spring 2019. Current members of the Junior Premier (JPP) and Life is a Kick/ Scott’s Soccer Tots programs will still be branded as Greater Seattle Surf thru the Winter sessions. Greater Seattle Surf/ Sound FC Board President Tim Hargrave says, “We are trying to build something special. We know we are not done yet, but we can foresee the day when there is no better club anywhere at developing great soccer players who are also great people.